Last month I blogged about the correct way to refer to dukes and lesser peers in narrative. You can find that blog post here. This post tackles the subject of titles of married daughters of peers. My previous post provoked a lot of discussion. The most searching question I was asked (by my husband Andrew who is used to me muttering about titles being used wrongly) was whether titles were used correctly at the time or whether these rules were just the ‘correct’ way and abused as much as the rules of grammar are today. In response to this, I have included some examples from contemporary newspapers and magazines to illustrate whether the rules seem to have been applied or not. I have studied the rules and drawn up some charts which show what title the married daughter of a peer takes, based on my interpretation of these rules. If the daughter of a duke marries a peer, she takes his title. If she marries the eldest son of a peer, she takes his title, but in the case of the heir of an earl or lesser peer, she may choose to keep her own title until her husband inherits. In all other cases, she keeps her own title, even if she marries the younger son of a duke, as the daughter of a peer ranks higher than a younger son of the same level of peerage. 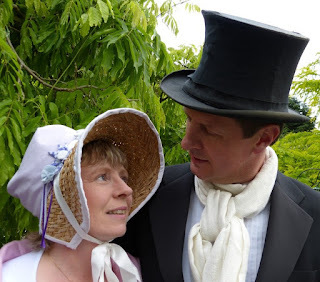 Let us take the fictitious example of Lady Augusta Hampton, daughter of the Duke of Wessex, and her marriage to Charles North of Swanage of varying rank. Did they follow the rules? There were very few dukes (only 18 English dukes at the end of the Regency period) and as most of their daughters married peers, I have struggled to find records of these rules coming into play. The only example I have found is in a newspaper report on the presentations at the Queen’s Drawing Room in The Times on 13 April 1810 and this appears to show them being used wrongly. Among those presented to the Queen were Lord and Lady Leveson Gower. Granville Leveson Gower was the younger son of the Marquess of Stafford. At this date, he had no peerage of his own. His wife was Harriet, the daughter of the Duke of Devonshire. According to the rules, I would have expected to see them listed as Lord Granville Leveson Gower (title from his father) and Lady Harriet Leveson Gower (title from her father), but in this report, both Christian names were omitted. It is hard to tell whether this is significant or just a space saving exercise in the newspaper! If the daughter of a marquess marries a peer, she takes his title. If she marries the eldest son of a peer, she takes his title, but in the case of the heir of an earl or lesser peer, she may choose to keep her own title until her husband inherits. If she marries the younger son of a duke, she may choose to take his title or keep her own. In all other cases, she keeps her own title. In this example, Lady Augusta Hampton is now the daughter of the Marquess of Denmead who is marrying Charles North of Swanage of varying rank. As with dukes, there were similarly few marquesses in the Regency and I have no records of examples to share. If the daughter of an earl marries a man of equal or greater rank, she takes his title. In all other cases she retains her own title. 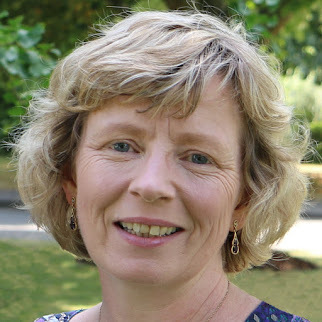 Lady Augusta Hampton is now the daughter of the Earl of Harting who is marrying Charles North of Swanage of varying rank. Were these titles actually used? Lady Elizabeth Foster is another example. The untitled Elizabeth Hervey married the untitled John Foster, but when her father became 4th Earl of Bristol, she was entitled to be known as Lady Elizabeth Foster – the title by which she is best known. 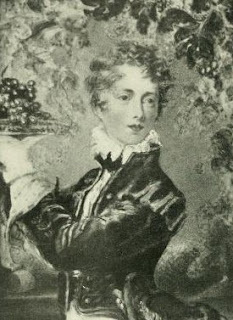 Caroline Ponsonby was the daughter of Frederick Ponsonby, Viscount Duncannon. 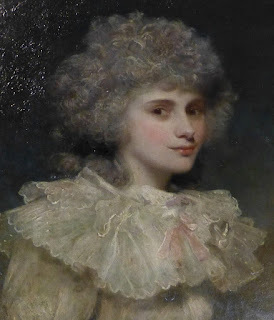 When her father became 3rd Earl of Bessborough, Caroline became known as Lady Caroline Ponsonby, and she kept this title on her marriage to William Lamb, who had no courtesy title as the eldest surviving son of Viscount Melbourne. As Caroline died before William inherited, she never shared his title. 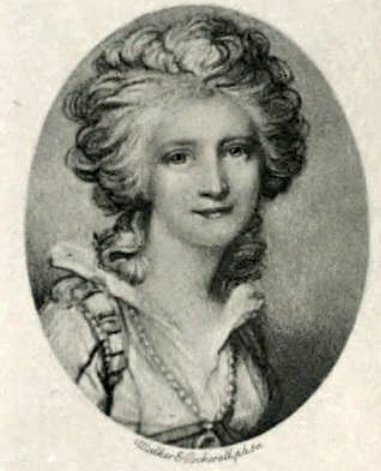 Lady Anne Lowther, daughter of William Lowther, Earl of Lonsdale, married Sir John Beckett, Baronet. 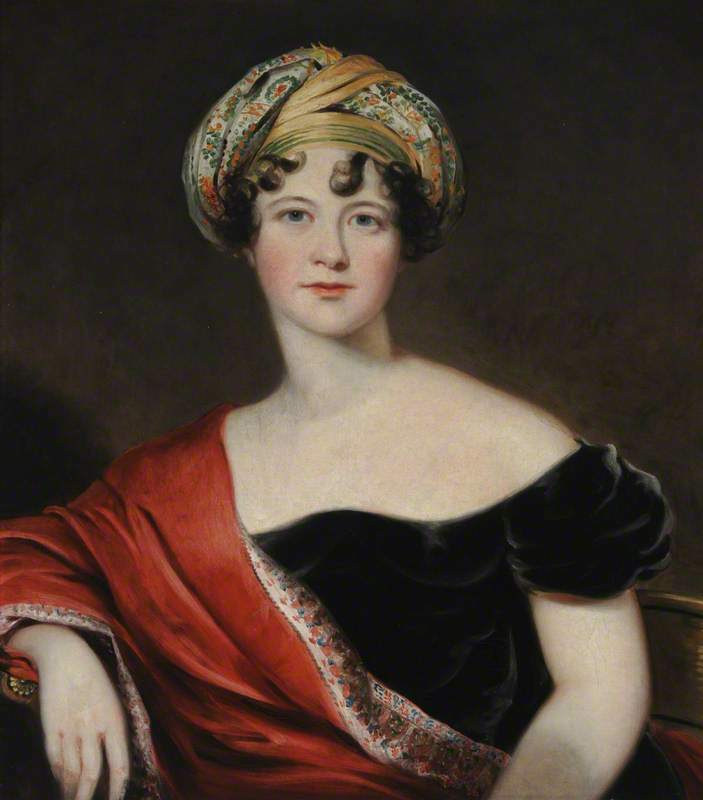 In an illustrative memoir in La Belle Assemblée in 1829, she was referred to as Lady Anne Beckett. If the daughter of a viscount marries a man of equal or higher rank, she takes his title. If she marries a man of lower rank, she retains her own title. The Honourable Augusta Hampton is now the daughter of the Viscount Droxford who is marrying Charles North of Swanage of varying rank. If the daughter of a baron marries a man of equal or higher rank, she takes his title. If she marries a man of lower rank, she retains her own title. The daughter of a peer ranks lower than the eldest son of the same level of peer and higher than the younger sons of the same level of peer. However, where both titles are “The Honourable” but the wife’s rank is higher (those entries marked *), I have not been able to determine whether she would use her Christian name or her husband’s or neither. It should be noted that the title “The Honourable” is never used in speech and according to Black’s, their visiting cards would simply state Mr North and Mrs North, without title or Christian names.